Every month or so I’ll wander around the Dollar Tree up the street (as I’ve mentioned a billion times before) and look for inspiration for projects for my home. Actually, I pray while I’m strolling since I need the help of the Lord to not just throw things in my basket needlessly. :) I love that you can grab something so simple (and inexpensive!) and turn it into something awesome. 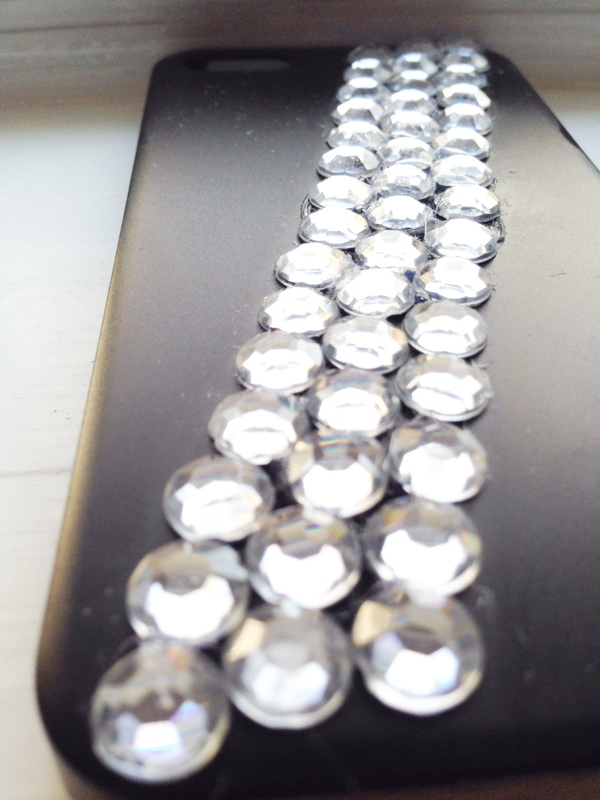 My cell phone case recently started falling apart a bit, so I grabbed a plain black iPhone case and a package of sparkly rhinestones (yep, both for just $1) and got to creating. I chose something simple for the pattern. And, since the glue can tend to get stringy and all over the place (can I get a witness from all you fellow glue-gun queens?! ), I keep a bottle of baby oil handy to help clean up the unwanted dried glue. I love the result! Next, we’ve been needing a few extra chip clips for all our snacky foods. 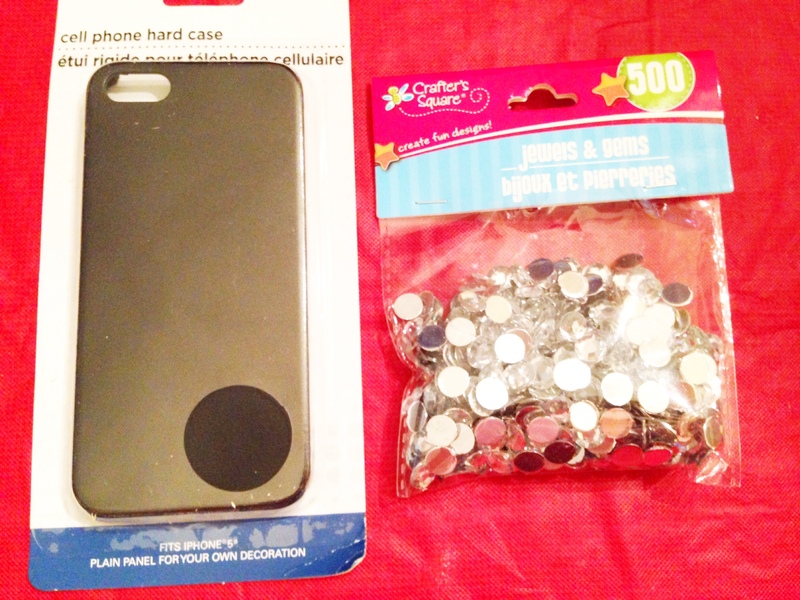 So I picked up a pack of clips (you guessed it… just $1) and some spray paint, and grabbed the rhinestones I used on the phone case. I started by spray painting them gray. 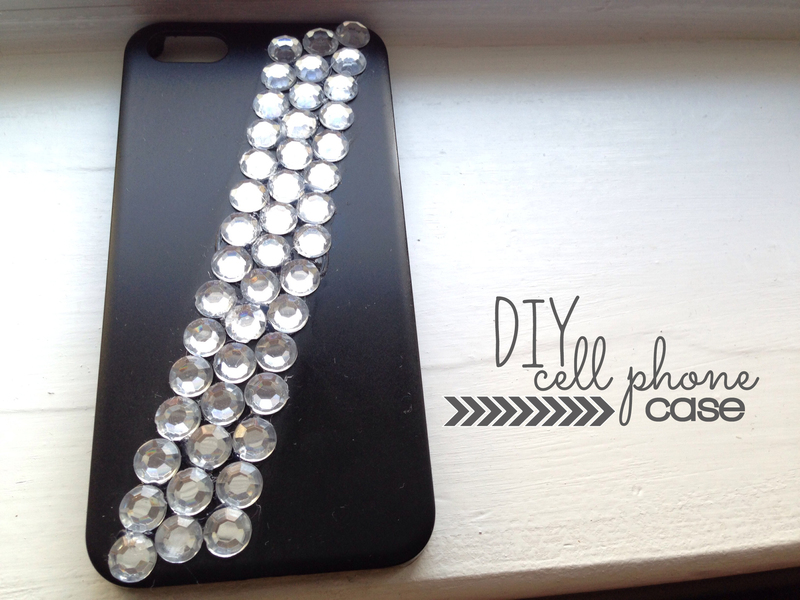 After it dried, I glued rhinestones down the middle of each of the clips. And the great thing about them is that they’re also magnetic. Loving these Dollar Tree finds, and looking forward to more creations as I take my monthly stroll through the aisles this month!